Want a home to move right in with no hassle then here it is. 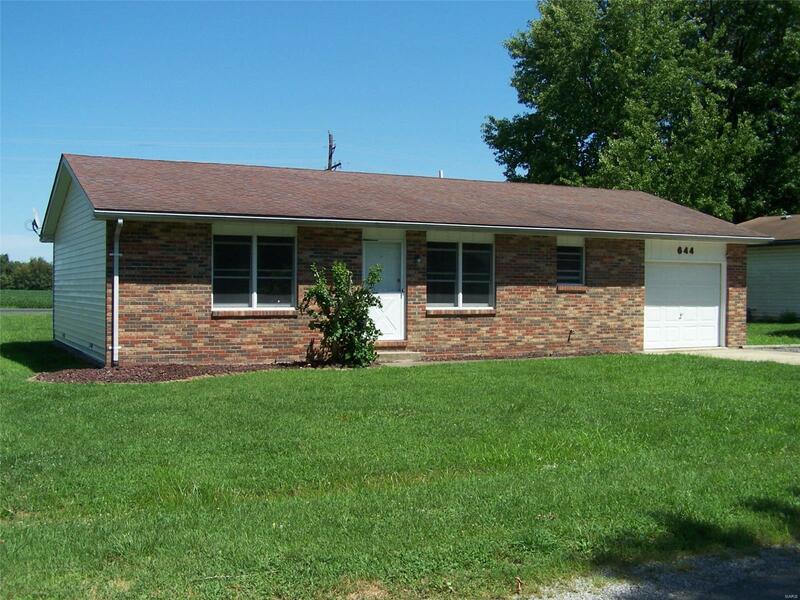 Spacious ranch with large bedrooms and huge living room with dining area. All electric home with laundry off kitchen. Convenient location in and out of Holiday Shores, back of property touches Prairietown Road. Want the feel of a large home with 2 bedrooms and l bath and a patio to relax on, then look no more. Enjoy what Holiday Shores offers without living on the waterfront and upkeep of a seawall. Enjoy fishing, swimming, skiing, boating, all water sports and use of clubhouse, beaches, marina, convenience store and on and on. One time initiation fee applies for new owner in the amount of $660. Any other info go to www.holidayshores.us. Qualifies for Rural Development Loan.